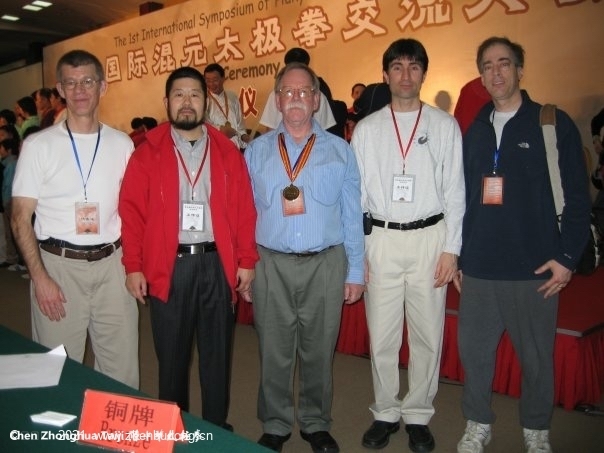 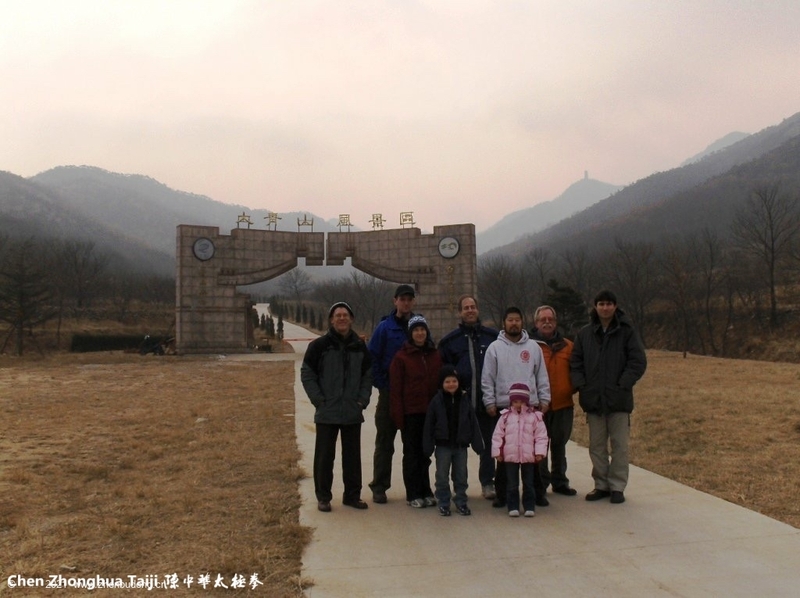 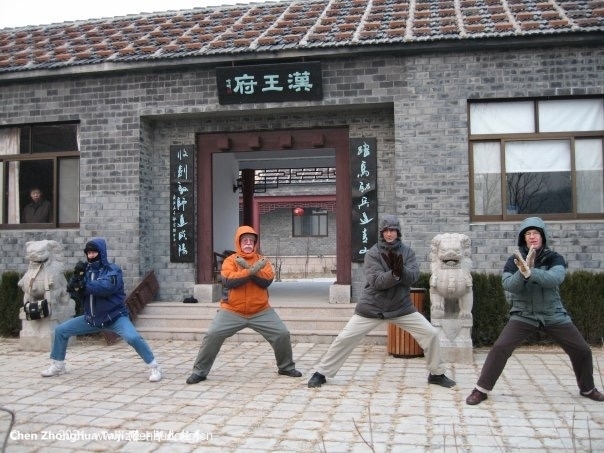 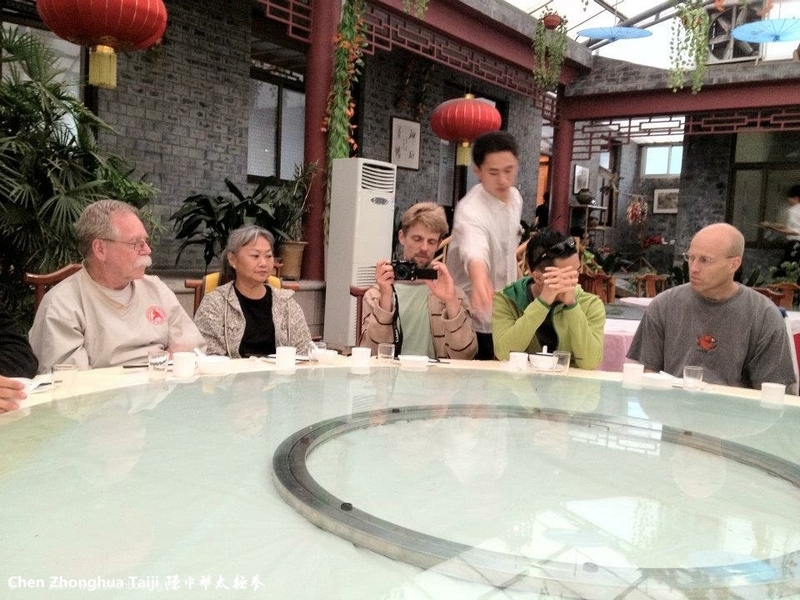 2007年一月的严寒下在大青山汉王府前练拳。Matthew Landau, Tim Duehring, Yaron Seidman, Gene Hess in front of the Hanwang Palace Restaurant on Daqingshan in Jan. 2007. 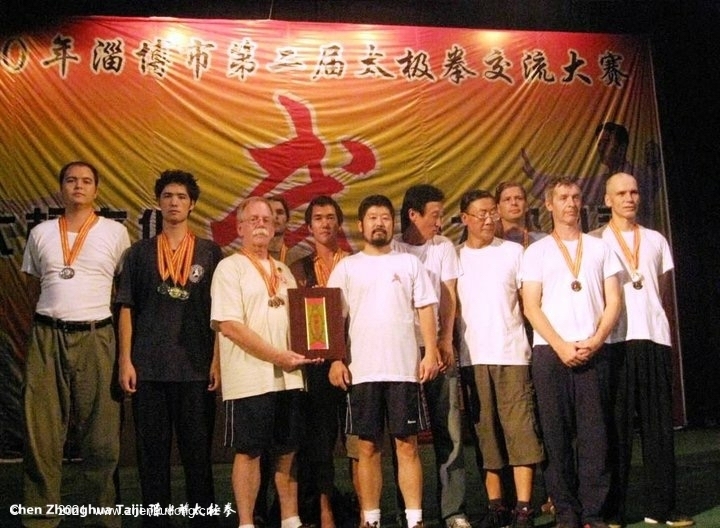 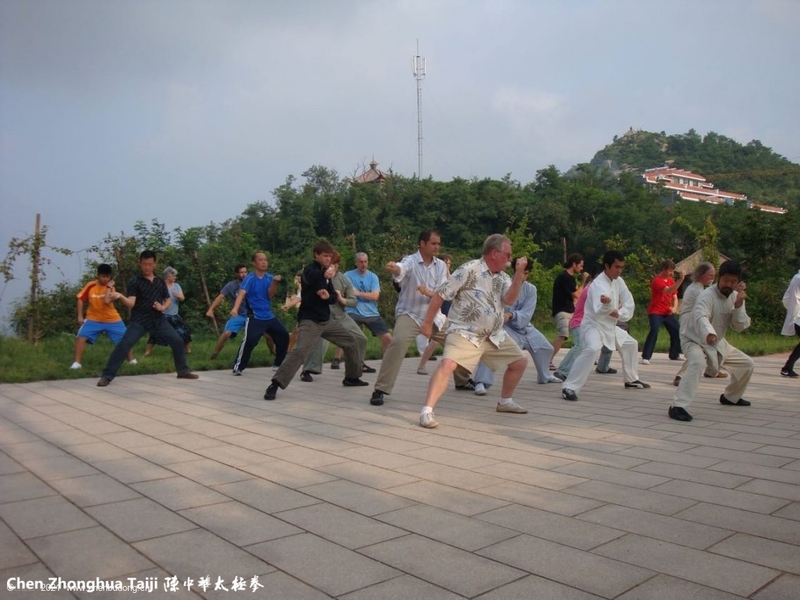 蒂姆2008年在大青山。Tim Duehring, Allan Belsheim, Scott Hess, Scot Jorgensen, Steven Chan, Charlie Gordon, Nicholas Fung, Jody Hall in the Daqingshan Parking Lot, now Junsheng Taiji Square. 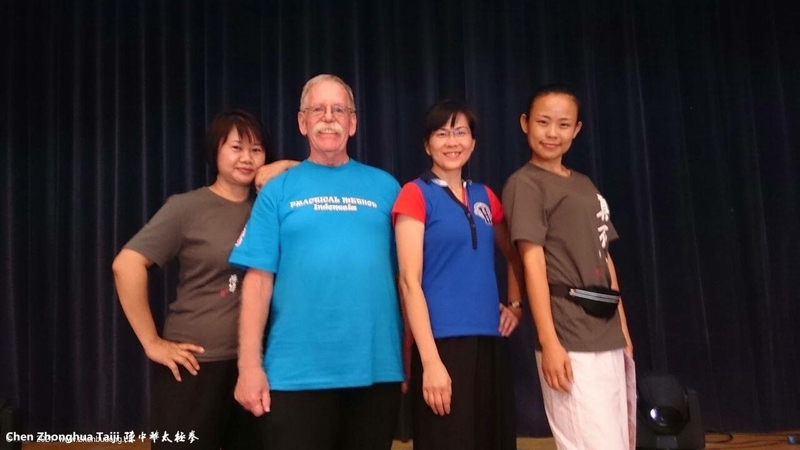 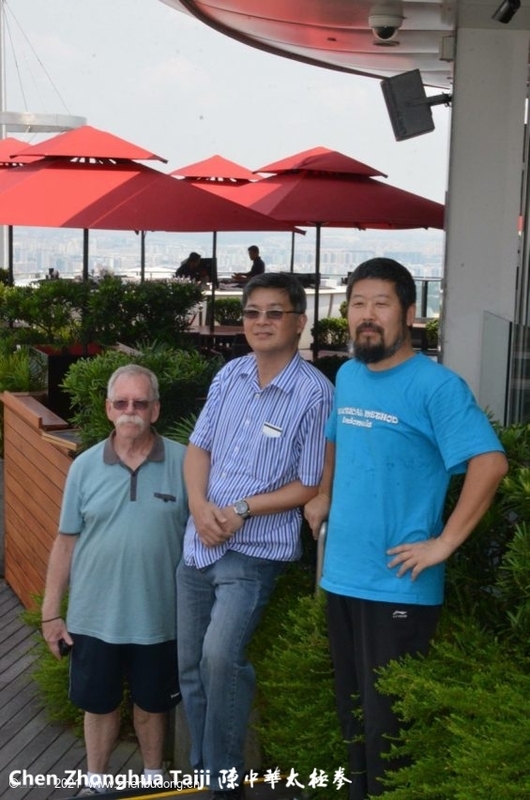 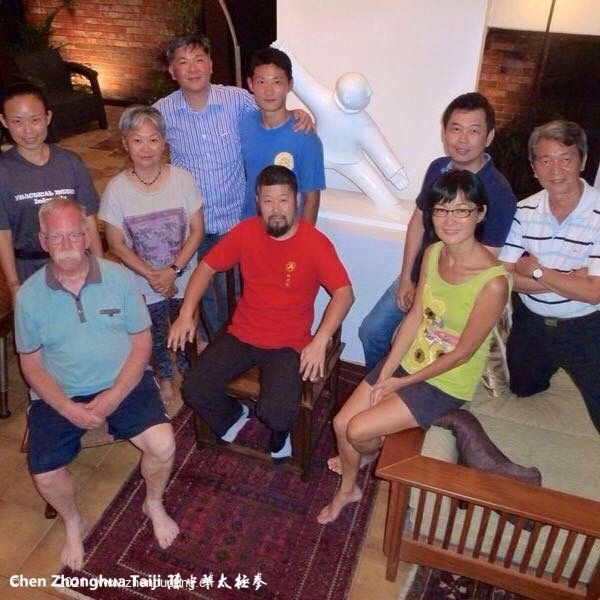 蒂姆爷爷随师父在新加坡讲学。Meng Fung, Tim Duehring, Elizabeth Chia, Cao Aiying in Singapore. 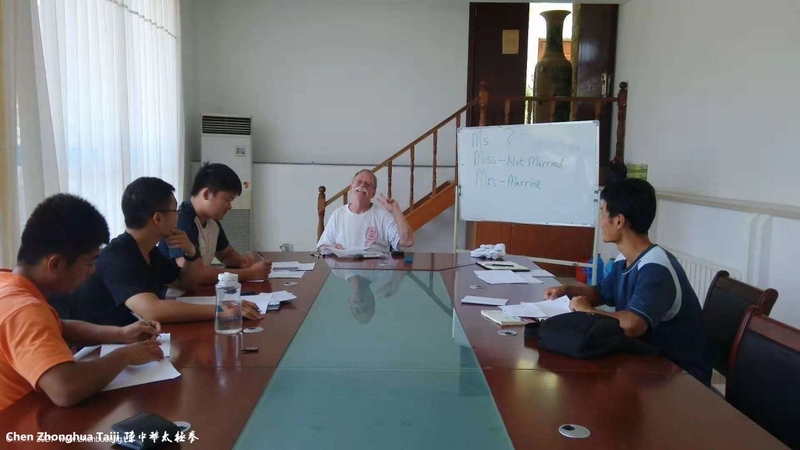 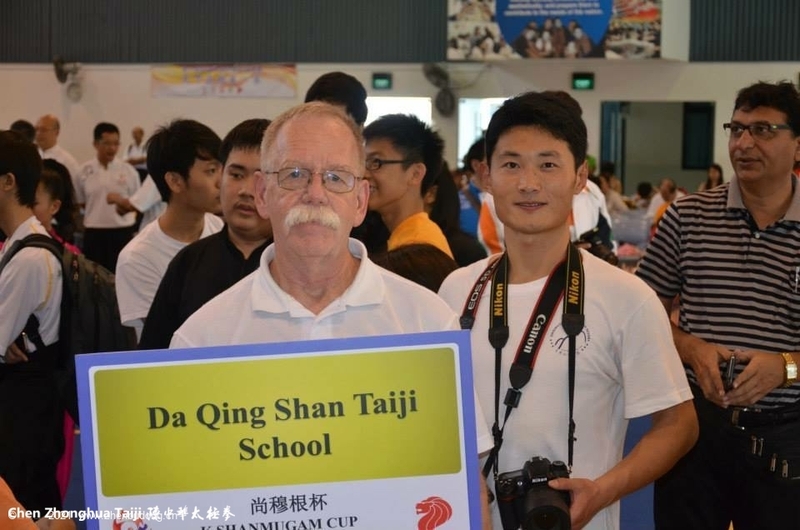 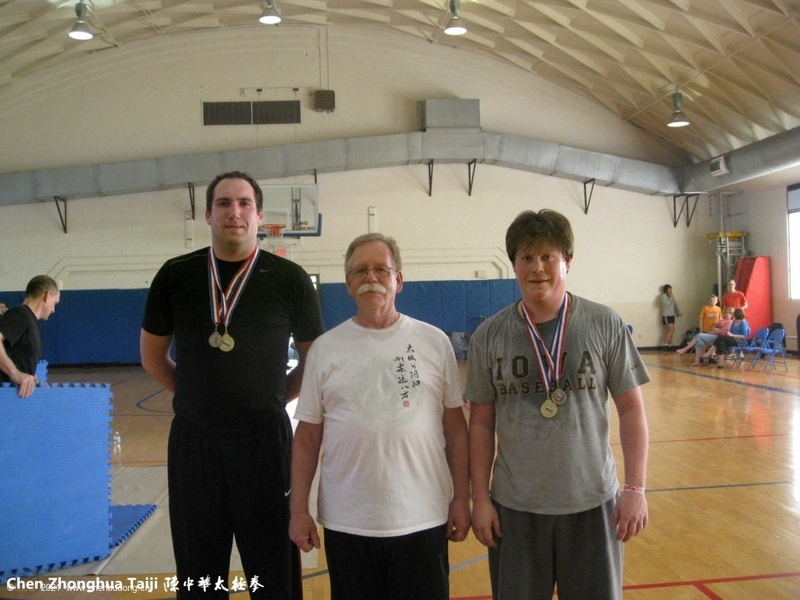 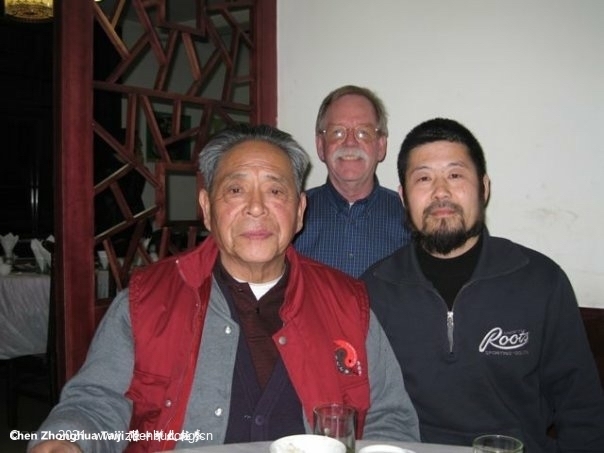 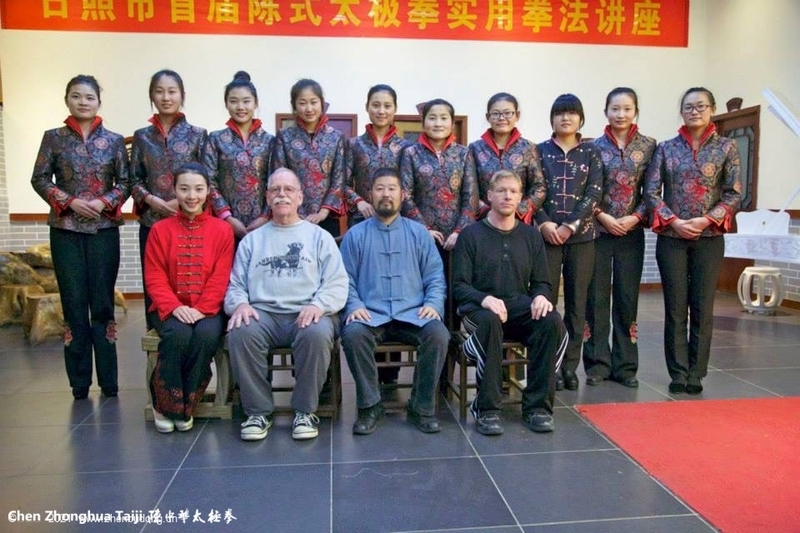 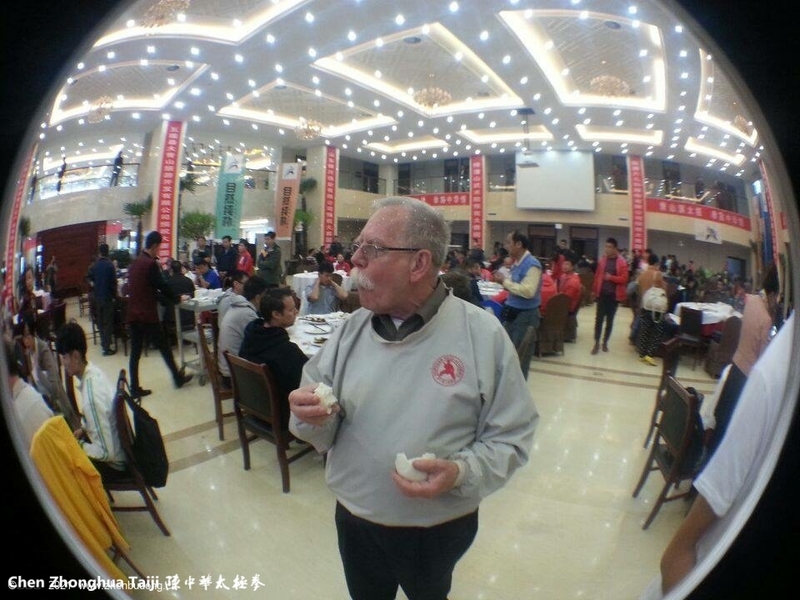 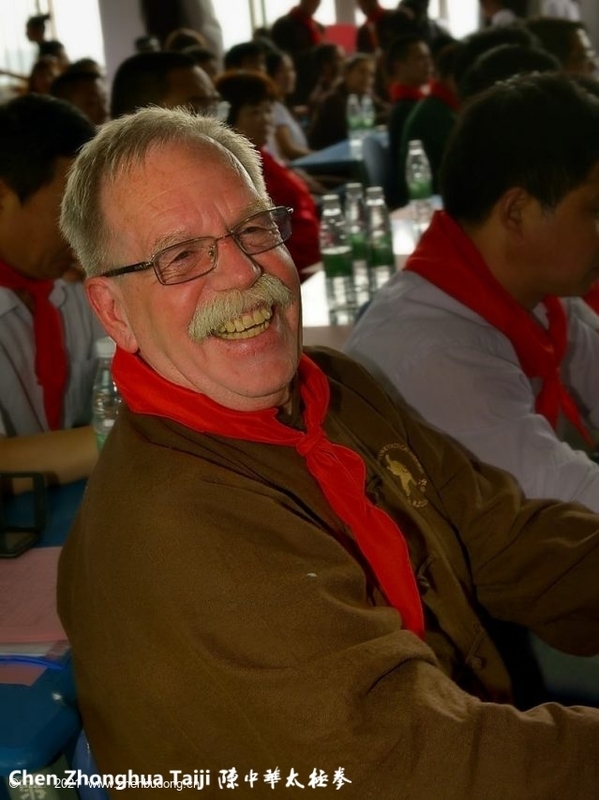 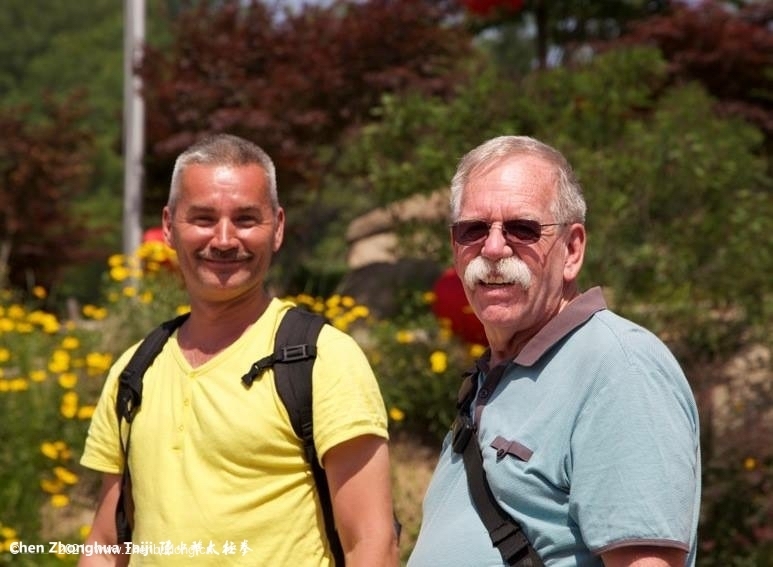 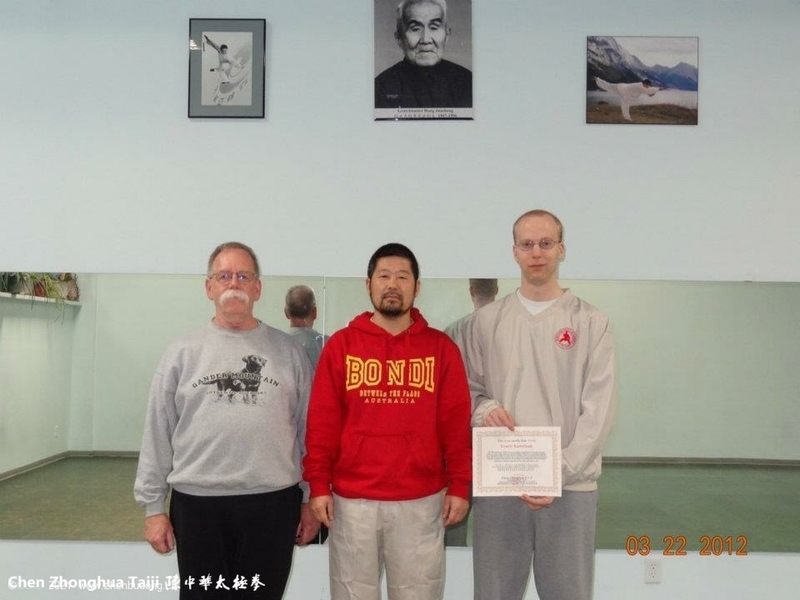 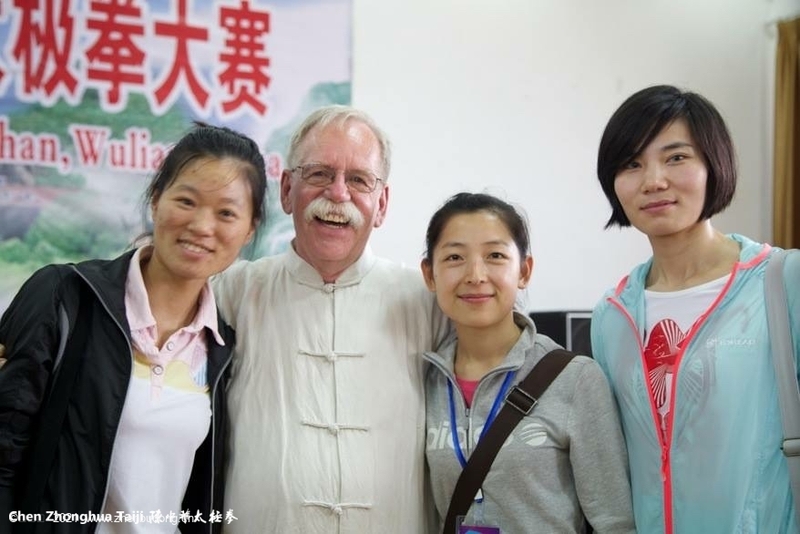 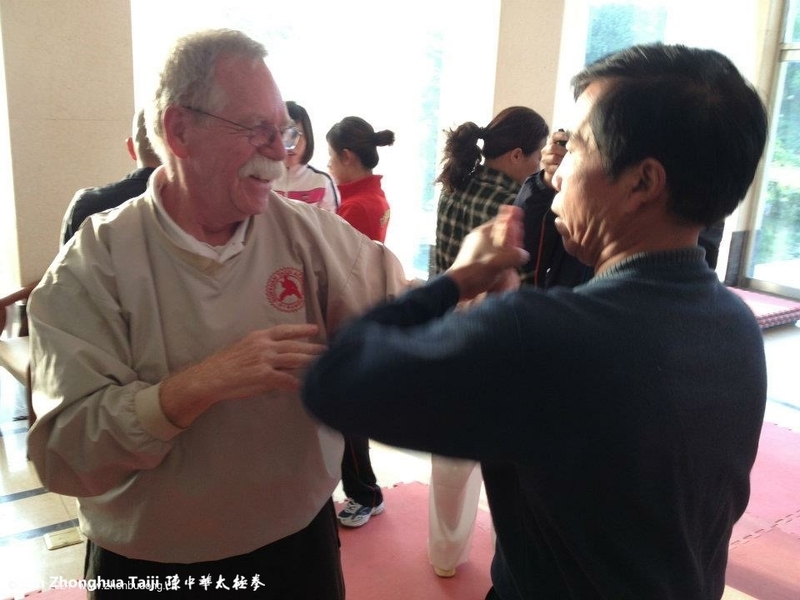 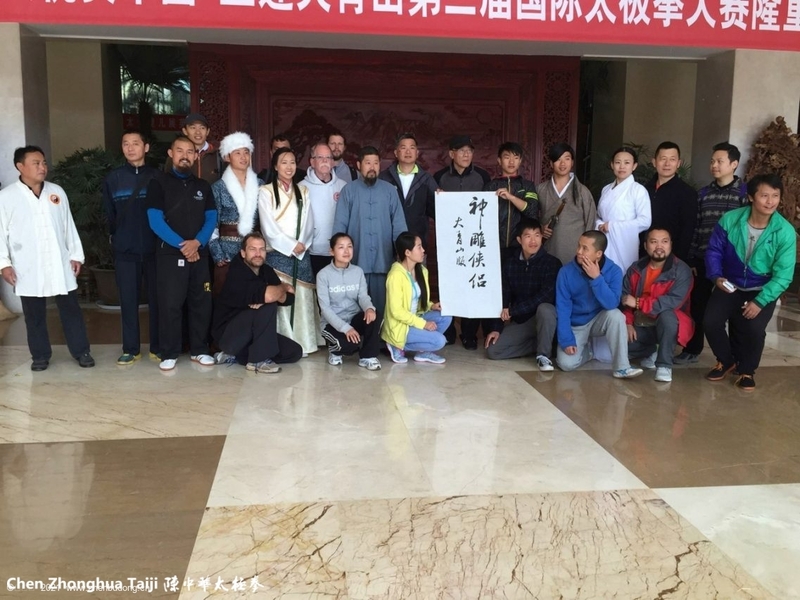 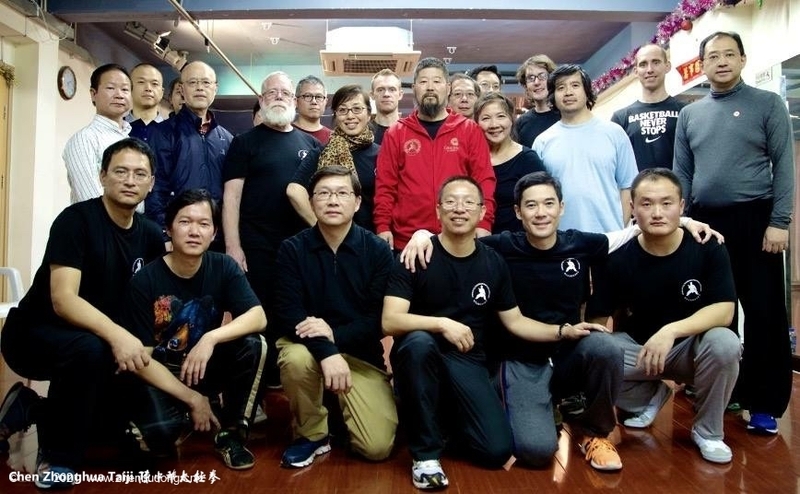 蒂姆和尔文在师父的总部埃德蒙顿武馆里。Tim Duehring, Chen Zhonghua, Erwin Ramthun in Chen Zhonghua’s main Academy in Edmonton, Canada. 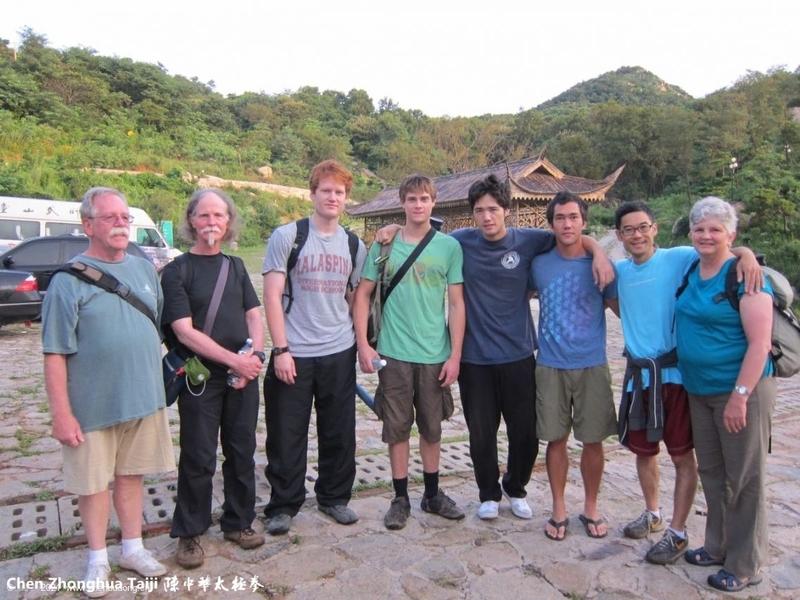 蒂姆在大青山国际酒店和意大利学员一起。 With Italian students in Daqingshan in 2013. 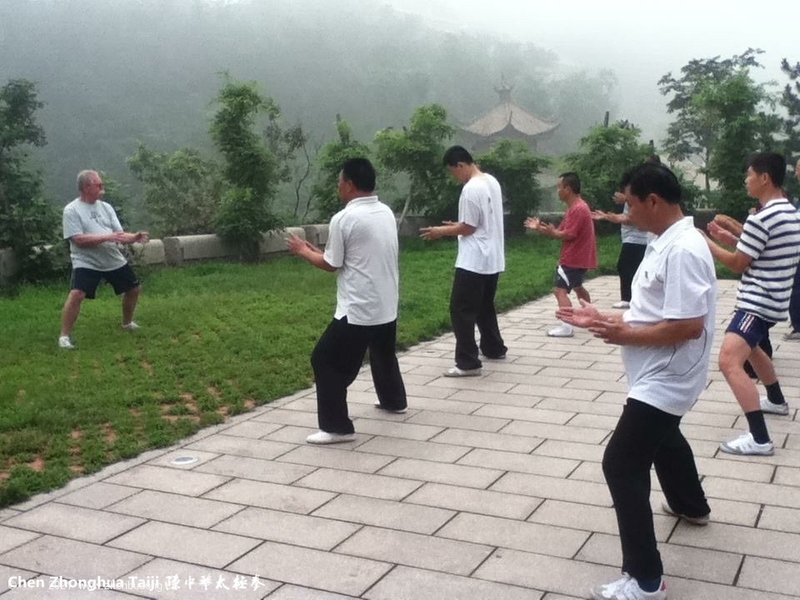 蒂姆玉兰阁广场晨练 Tim in a morning class on Daqingshan in 2010. 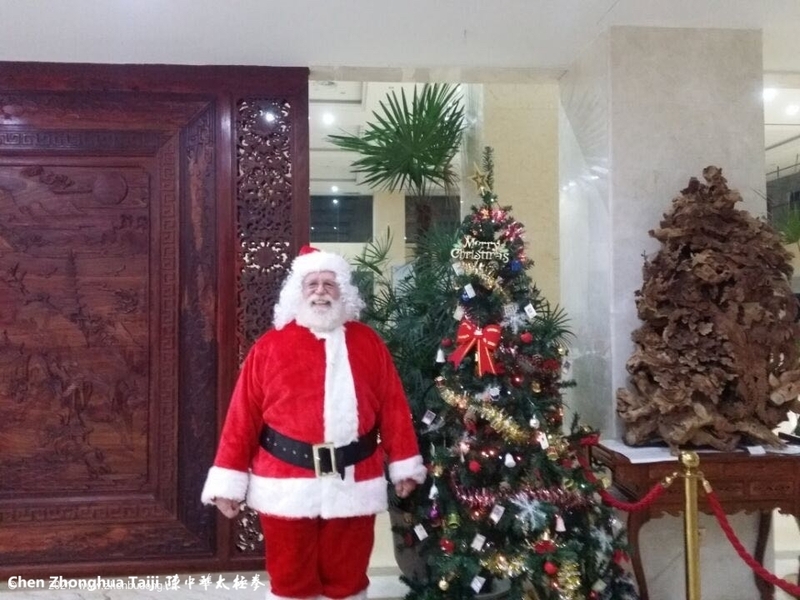 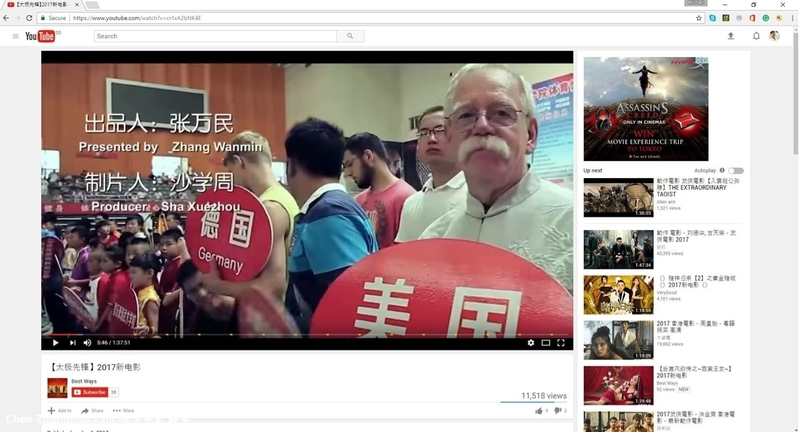 玉兰阁广场混元晨练. 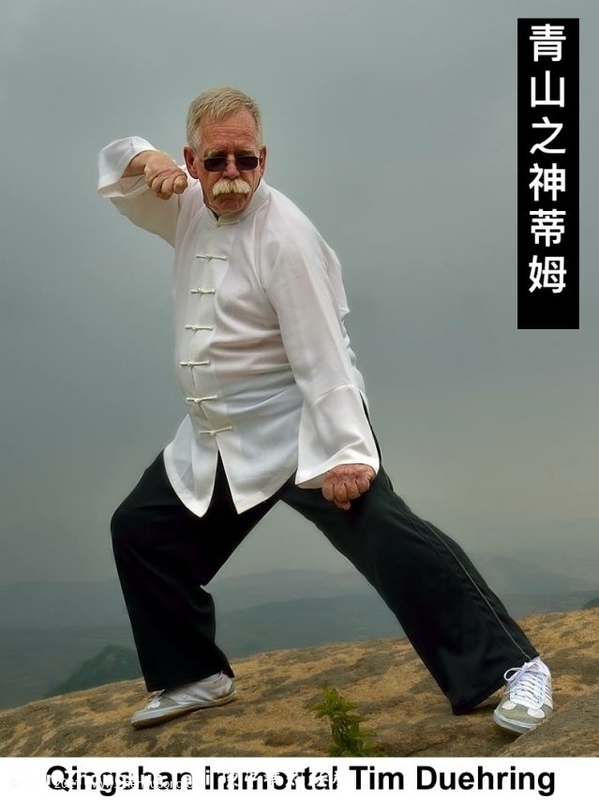 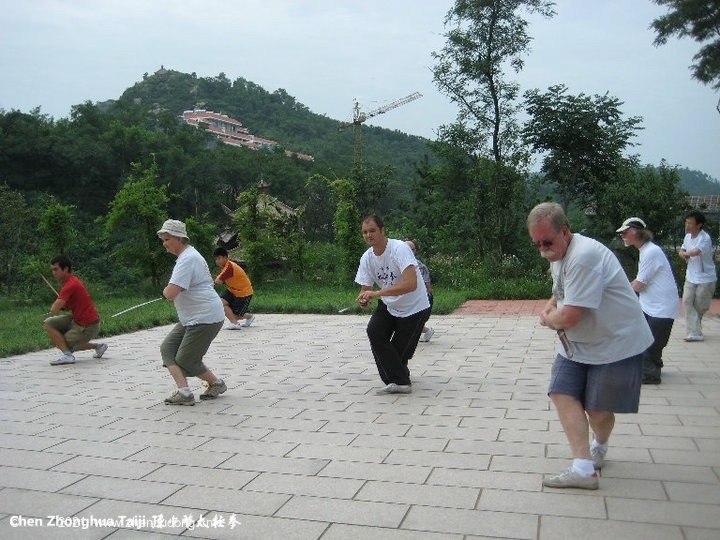 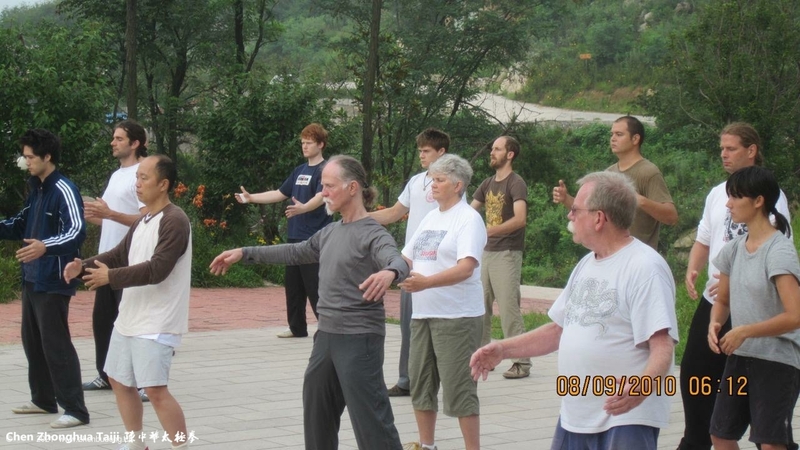 Hunyuan Qigong on Daqingshan in 2010. 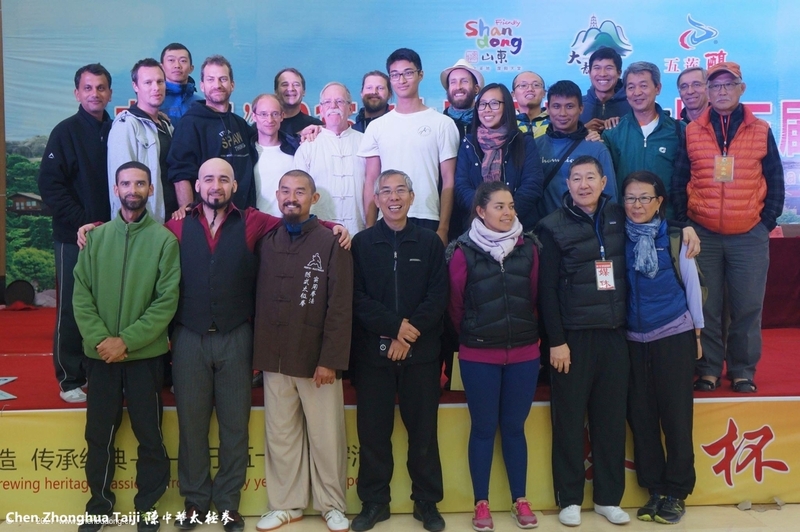 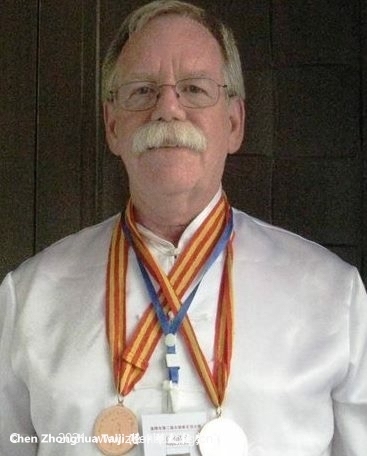 蒂姆在美国亚特兰大参加世界混元大会. 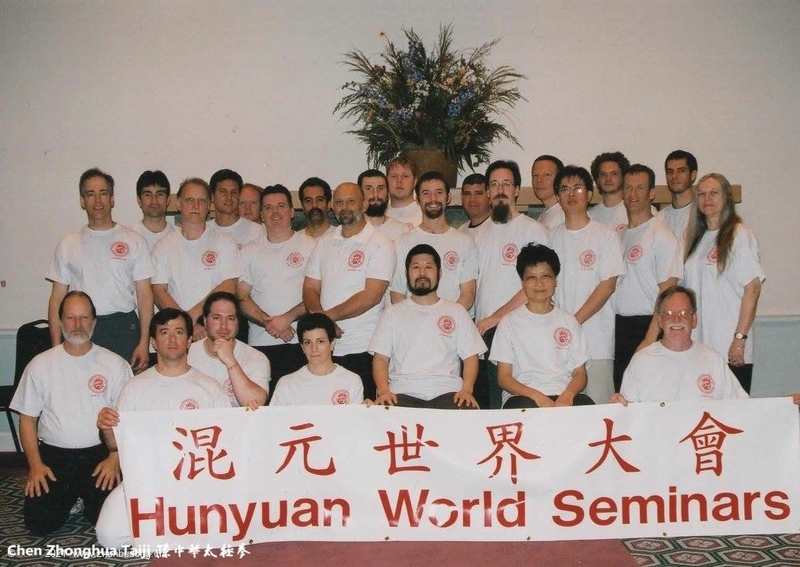 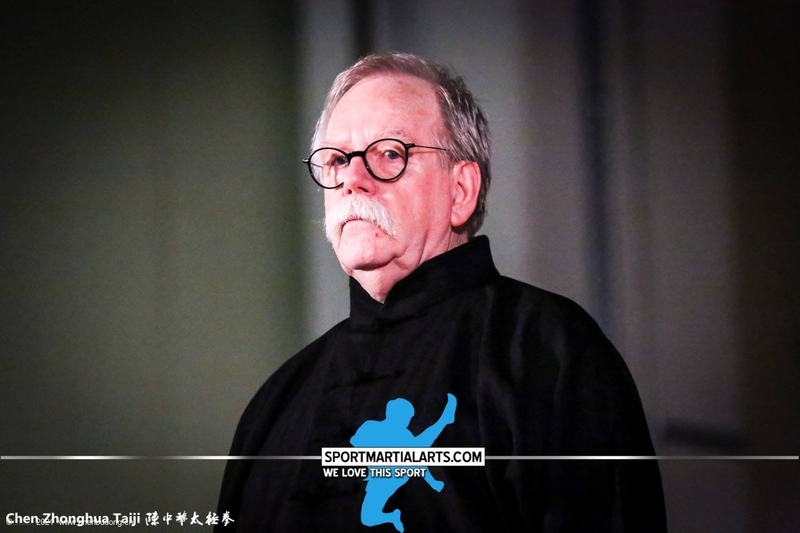 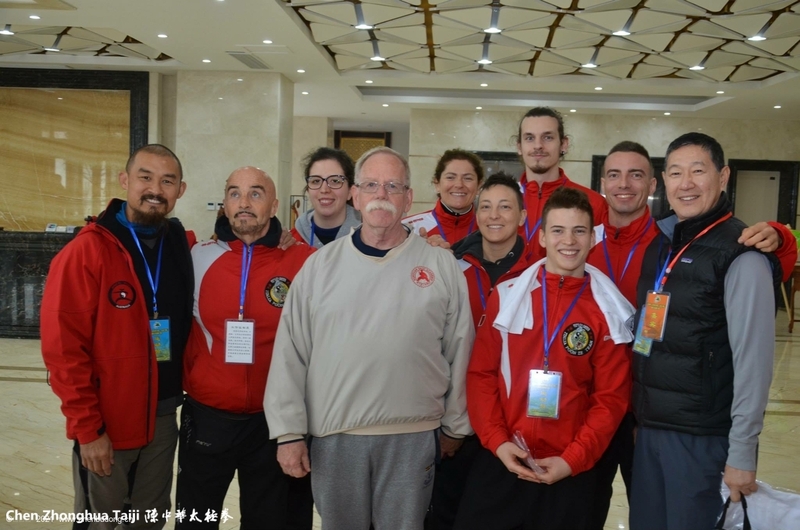 Hunyuan World Seminar in Helen, Georgia. 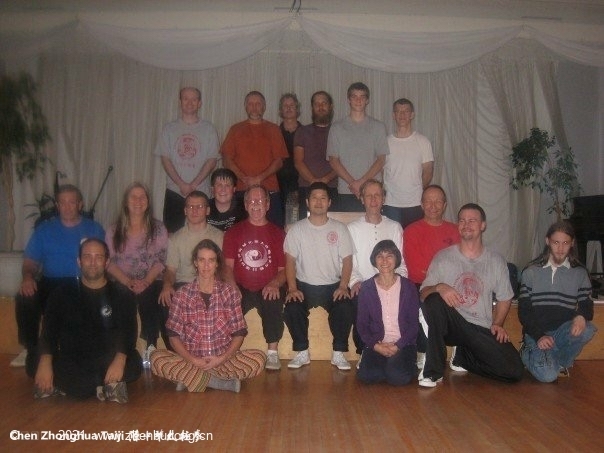 蒂姆在美国爱荷华州参加师父的讲座。One of the early Fairfield, IA workshops. 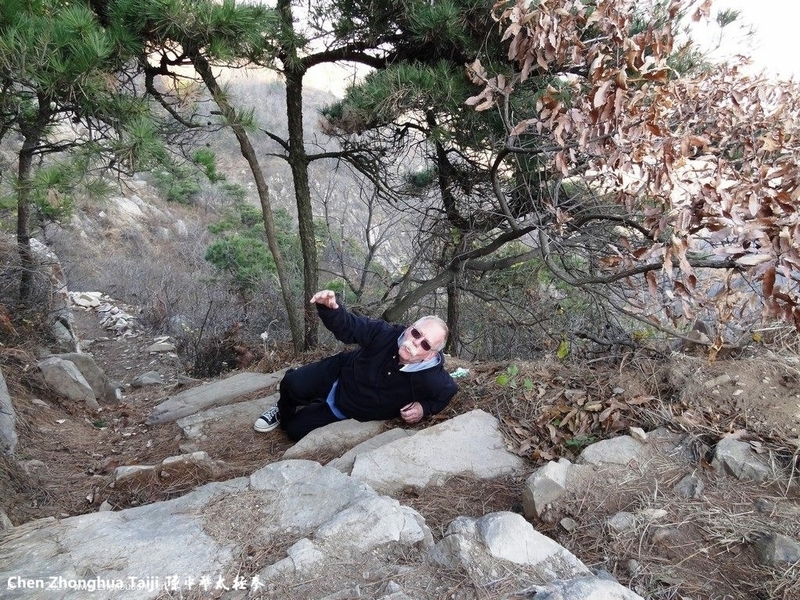 童心未泯：蒂姆爷爷在大青山 Tim, the child, on Daqingshan.